By targeting Palestinian journalists and university students, the Palestinian Authority shows that it has turned the territories under its control into a dictatorship that systematically grinds public freedoms into the ground. Palestinians are permitted to badmouth Israel and the US -- but that is where their "freedom of speech" ends. Let a Palestinian utter a bad word about his leaders -- he will find himself (or herself) behind bars. This bodes rather poorly for the future of democracy and free speech in a Palestinian state. In fact, it discloses exactly what a Palestinian state would look like, if and when it is ever established. Failing to hold the PA leadership accountable for its actions against journalists and university students drives Palestinians into the open arms of Hamas. Yet the international media remains mute in the face of the PA's flouting of the right to freedom of expression. Why? Because, for the foreign media, a story that does not serve to bash Israel is not "news that's fit to print." A Palestinian electric engineer from the West Bank is facing up to one year in prison and a heavy fine. Ibrahim Al-Masri, who was arrested by the Palestinian Authority (PA) security forces on June 19, is the latest victim of the PA's continued crackdown on its political opponents and dissenters. Al-Masri's lawyer said that his client was taken into custody under the PA's new controversial Cyber Crime Law, which targets Palestinian social media users. His family said they learned about his detention more than 24 hours after he was taken into custody. They pointed out that Al-Masri was arrested for posting comments on Facebook criticizing the PA security forces for beating him during a demonstration in Ramallah last month. The demonstration was organized by Palestinian activists to protest the economic sanctions imposed by the PA government on the Hamas-ruled Gaza Strip. The Cyber Crime Law, which has drawn sharp criticism from Palestinian human rights and media organizations, states that, "Anyone who creates or manages or an information technology platform that aims to publish news that would endanger the integrity of the Palestinian state, the public order or the internal or external security of the State, shall be punished by imprisonment for a period of at least one year and no more than 5,000 Jordanian dinars (approximately $7,000) or by a combination of both punishments." The law effectively authorizes the PA security forces to arrest Palestinians for their activities on social media, especially if their postings are deemed "offensive" to senior Palestinian officials or harmful to the "integrity of the Palestinian state" which, one might note, remains to be established. Palestinians are now wondering whether the Ramallah-based PA leadership has created a "Facebook Police" to monitor their activities on the giant social media portal. Reem Abu Laban, a Palestinian journalist, said she was summoned by the PA security forces about her Facebook postings. "I have the feeling that they had been following my Facebook page for some time," she said. Another journalist, Fadi Abu Sa'di, said that he, too, was convinced that the PA security agencies were closely following his Facebook postings. "Sometimes this affects what I publish on Facebook, and that can be very stressful," he said. Since the law was approved last year by PA President Mahmoud Abbas, dozens of Palestinians, including journalists, have been arrested or summoned for interrogation for posting critical comments on Facebook. According to the Committee for Supporting Palestinian Journalists, the journalists who were arrested by Abbas's security forces include Hazem Nasser, Islam Salem, Mustafa Sabri, Ala Rabi, Emad Abu Awwad, Rami Samarah, Tareq Abu Zeid, Thaer Al-Fakhouri, Shadi Badawneh, Ahmed Halaykeh, Mamdouh Hamamreh, Kutaiba Azem, Amer Abu Arafeh, Mohammed Abu Jheisheh, and Fahed Shaheen. The committee expressed "deep concern" about the PA's use of the new law to suppress public freedoms in the West Bank. "If you want to be a journalist or work in the media in the West Bank, you need to be wary of the Israeli occupation forces that could target you at any moment; however, you need to be twice as careful about the Palestinian security forces," said Palestinian journalist and writer Nader Al-Safadi. "What the Palestinian security forces have committed against public freedoms and journalists exposes the true face of the freedom of expression that the Palestinian Authority has been boasting about." Because of the new law and the subsequent crackdown by PA security forces on journalists and Facebook users, Palestinians say they are now afraid to post any critical comments on social media. "The Palestinian Authority wants us to become its spokesmen," complained a Palestinian journalist from Nablus. "The Cyber Crime Law allows the Palestinian security forces to arrest anyone who dares to express a different view on social media. This is a dangerous assault on public freedoms." Palestinian journalists, however, are not the only ones to feel the heavy hand of the PA security forces. 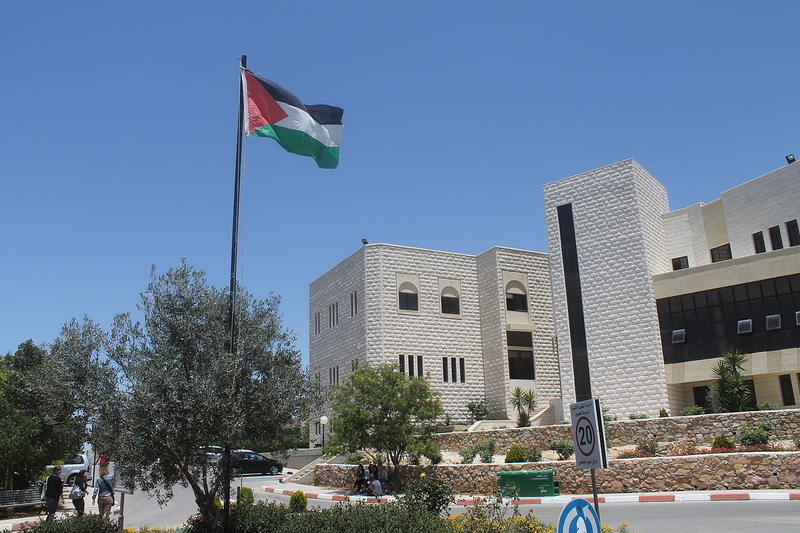 In recent weeks, the PA's campaign against its political critics reached several Palestinian university campuses, where scores of students have been arrested or summoned for interrogation. The PA's tough security measures at university campuses are seen by Palestinians in the context of the PA leadership's ongoing effort to silence and intimidate its critics and political rivals. Although these measures are not new, Palestinian sources say that the PA has recently stepped up its measures against university students, particularly those who are affiliated with Hamas and other Palestinian rival groups. Last week, the PA security forces arrested university students Abdel Salam Kamil and Bilal Tamimi in Hebron. Earlier, they also arrested Adam Ziadeh, a student at the Al-Quds Open University, and Mohammed Turkeman, Rayan Kharyoush, Oday Khatib, Awies Al-Ouri, Yazan Tayyah, and Hamzeh Abu Qari, of Bir Zeit University. These are only a few of the dozens of university students who have been arrested or summoned for interrogation by the PA security forces in recent weeks and months. By targeting Palestinian journalists and university students, the PA shows that it has turned the territories under its control into a dictatorship that systematically grinds public freedoms into the ground. This does not come as a surprise, given the PA leadership's intolerance of criticism. Palestinians are permitted to badmouth Israel and the US – but that is where their "freedom of speech" ends. Let a Palestinian utter a bad word about his leaders – he will find himself (or herself) behind bars. This bodes rather poorly for the future of democracy and free speech in a Palestinian state. In fact, it discloses exactly what a Palestinian state would look like, if and when it is ever established. It would be a carbon copy of other Arab dictatorships, where journalists and academics are nothing but mouthpieces for their president and government. The international community, which funds the PA, must wake up to the fact that this crackdown on public freedoms plays directly into the hands of Hamas and other radical Palestinian groups. It is precisely these groups that stand waiting to receive those who run, disillusioned and desperate, from the PA. Failing to hold the PA leadership accountable for its actions against journalists and university students drives Palestinians into the open arms of Hamas. Yet the international media remains mute in the face of the PA's flouting of the right to freedom of expression. Why? Because, for the foreign media, a story that does not serve to bash Israel is not "news that's fit to print." Bassam Tawil, an Arab Muslim, is based in the Middle East. Students can be an instrument of change. Who among PA leadership and among the jihadis wants that ? Somehow, these rebel hooligans connecting with Hamas and their desired War, have to be stopped and I do not know how PA could do that. Hamas has to be cut off. 'Rallies' of these people are just riots. The internet is used for fighting. What can be done? All their lives these people are taught, even in the Qur'an or Especially in the Qur'an, to hate the evil Jews cursed by Allah and commanded to replace them. They are commanded that Islam must replace Judaism as the one and only Abrahamic Religion on earth and anyone who says different is to be fought. Even if its PA trying to stop Hamas for some peace, those people are trained to fight that. No Recognition, No Negotiation, No Peace until Judgement Day. What doesn't US or UN or the rest of the world get about this? Its their Avowed RELIGION. It will not relent unless someone wipes out the Warlord passages of the Qur'an/Hadiths. This WILL go on and on and the only Judgement Day will be more and more War. ISLAM is the problem with its obsession for Supremacy and the UN HAS TO ADDRESS IT. Move over, Marx and Engels. Make room for Mohammed, another pioneer of the "totalitarian utopia". But, this time, there's IS a "god". A few years ago, I took the Hebron tourist tour. My Palestinian guide was an ambitious young man who wanted to go abroad to study business. Near the end of the tour, he muttered, "the politicians say they're fighting for us, but as soon as they get their house and their car, they stop caring." Isn't it astounding how the "leadership" of the Pals is repulsive and disgusting in every way, in every manner, that one can think of...and yet the idiots in the West still love them? I still maintain that they are ARAB not Palestinian and to continually refer to them as such is wrong and doesn't help the situation. For a country that doesn't actually exist because it is a region held together by lies and tenuous agreements, most notably the Oslo accords* and has no noticeable industrial infrastructure of its own as most employers there are Israeli firms (the terrorism industry doesn't count) and has a huge charity handout from everywhere to pay its "civil servants" who are anything but civil, apparatchiks and other thugs/supporters of the dictatorial regime, there are universities in the Arab occupied territories? The so-called Palestinian Authority didn't have to "turn into an oppressive, dictatorial, antidemocratic regime and to trample down all freedom and liberties." The Palestinian movement and Oslo-based PA Entity have always been " dictatorial, antidemocratic and vehemently anti-American and anti-Israel. Nothing to be surprised of. The question is whether or not the manner in which the PA rules by tyranny and oppression is motivated by the Israelis? Or Islam? Personally I believe the PA and Hamas can not bring themselves to ever negotiate in good faith with Israel for religious reasons. Arafat was invented, he was the self proclaimed nephew of the Grand Mufti who began importing Islamo fascist ideas perhaps as a result of meeting Oppenheim in Egypt a German ambassador interested in exciting conflict with the British by exciting Islamic sensibilities, was the Mufti one of these who listened was influenced as were several Egyptians who made suicide pacts? Whether such speculation has merit the fact is the US liberals selected to receive Arafat as a socialist and Arafat manipulated the image to fit. But he was always a Islamist every bit as revolutionary as Iran just not as verbose about it. Arafat made peace that was peace and commitments that were not commitments. He spoke the same language liberals speak today, the art of the lie. The imposing of a religious mandate on students who seek freedom of thought in tertiary institutes only acerbates the problem, which is about the preservation of values inherited from parents on basic issues through the notion of shame. Shame cannot be replaced by religious intolerance, as this causes enmity. The end result is to find some entity that supports freedom of thought and of speech, and the best option arises, which is Christianity. 2000 plus Muslims in Australia have already opted for Christianity and converted. This should be a light in the tunnel for the student population.